As we exit the old year and enter the new, most of us make serious new year’s resolutions. It’s a common concept. Every new year brings about reflection of the previous version of ourselves and the fun begins each new year. We reinvent a better version of us. Trust me, it’s not just you, we all do this in one form or another. For some, it is about changing spending habits, for others it is about staying at home more and spending time with our family. Dedicating more of our personal attention to one another rather than he outside world. Today, I have tips for making the best movie night ever. Not only will I save you money with these tips, but you will cultivate a deeper relationship with your friends and family because of time spent together. Further, if you are all about sports and want to stop going to the game or other’s homes to live in the moment on the big screen, this will help you out too! Lavishly live life out loud with new resolutions for a new year and a new you. Get ready for tips for making the best movie night ever and even the best sports entertainment ever. It’s time to get comfy. Put your favorite clothes on. Unwind, grab a beer, a drink, a soda, whatever makes your happy place happier and just be. Tonight you are getting ready for the best kind of outing ever… one in your home. You don’t need makeup, fancy clothes or money, you just need time to yourself. Prep the beverages, turn off the lights and get ready for the best movie night ever. Rather than just catching one flick, catch multiple all for the same one price ticket. Sleepover, because you are already home. Have friends over and make a pj party. Stop the spending, and start the savings, with in-home movie and favorite show binge nights. The new version of you is about spending more time enjoying and less time spending. Less time commuting to a place to be there just temporarily. It’s about gathering together or just gathering by yourself. The truism resides in the new oath you declared at the start of the new year or shortly before. Save more, get more, spend less and enjoy more! You’ve arrived! This year, is the year that you are going to save money by staying home more, and going out less. Additionally you decided that entertainment needs to work around your time schedule and location and not the theaters. So how do you do this? Baby steps. Going out is expensive, so you can have the same fun, at home watching your favorite movies around your free time, not making free time to go. Drinks and snacks are ‘on the house’ since you are in home right? First remember, food and movies go together. You want to make sure to have popcorn and plenty of candy to indulge in. After all a movie night is about fun, hanging together and enjoying the moments. All that adrenaline spent watching a movies fuels hunger, so enjoy! If you don’t feel like popping it, buy it pre-popped, that makes it real easy, you might even say Boom Chicka Pop! You will still save money on popcorn because it’s like $15 in the theater! Ouch! Popcorn deserves fun bowls and butter! Purchase a few reusable popcorn cups. Remember refills are free at home! Don’t forget the fancy flavored salts too! What Will It Be? Netflix, YouTube, Other Streaming? So you have decided to cut bills this year, reduce expenses yet you want more for your money. How do you do that? Not going to the movie theater is one way and hosting more events in home is another. Now, the last piece of the puzzle is easy. 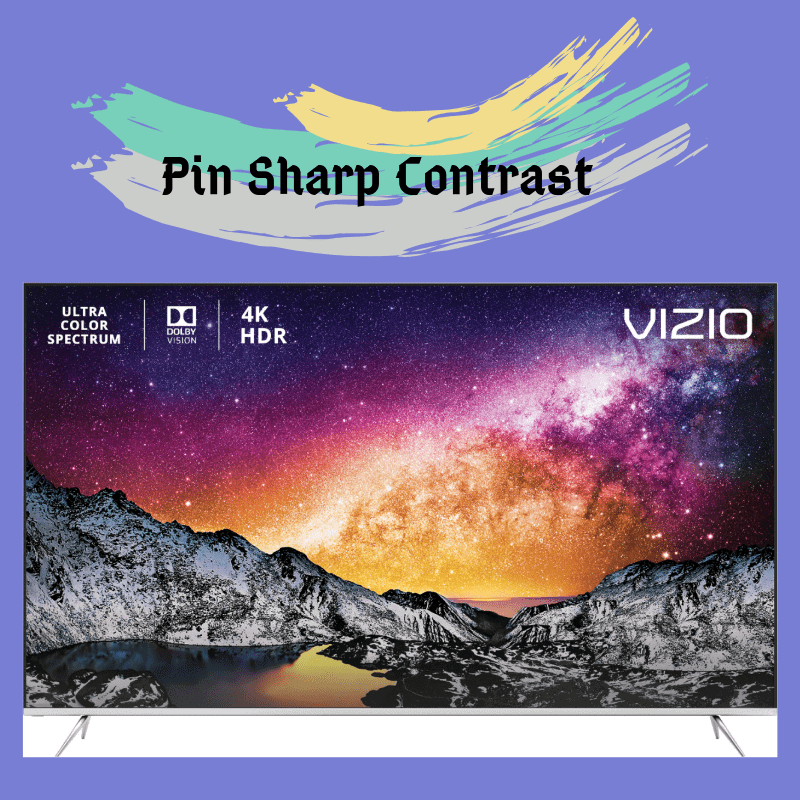 Make sure to get a 2018 Vizio P-Series® 4K HDR Smart TV. Smart because it offers unprecedented color, clarity and contrast. In addition to your other wish-list: streaming and browsing options fit for a God or Goddess! Your movies, and favorite shows are about to be adorned in expansive colors, superior HDR performance and pristine 4K detail make each frame a jaw-dropping experience! In fact, VIZIO’s Ultra Color Spectrum® technology paints each scene with over one billion colors. Craving more brightness? The Dolby Vision HDR with UltraBright 1000 brings extraordinary contrast, depth and brightness to the screen. You won’t believe how crisp and clean this is. Further, it offers a high-performance Active Full Array Pro™ backlight with up to 120 local dimming zones produces picture-perfect blacks. The VIZIO P-Series® 4K HDR Smart TV offers a gorgeous edge-to-edge screen design. Get ready to be dazzled! Your home will be the gathering spot, not the coffee shop or the theater! Staying in for movie night? Perhaps you want to binge and crush on your favorite shows. It’s easy. You can browse favorites like Netlifx and YouTube right on the TV. Further Chromecast is built-in, giving you access to thousands of Chromecast-enabled apps from your phone to the TV. This means you are using more of what you already have, costing you less! I should mention that there is also support for Amazon Alexa and Google Assistant making the P-Series a perfect smart-home centerpiece. 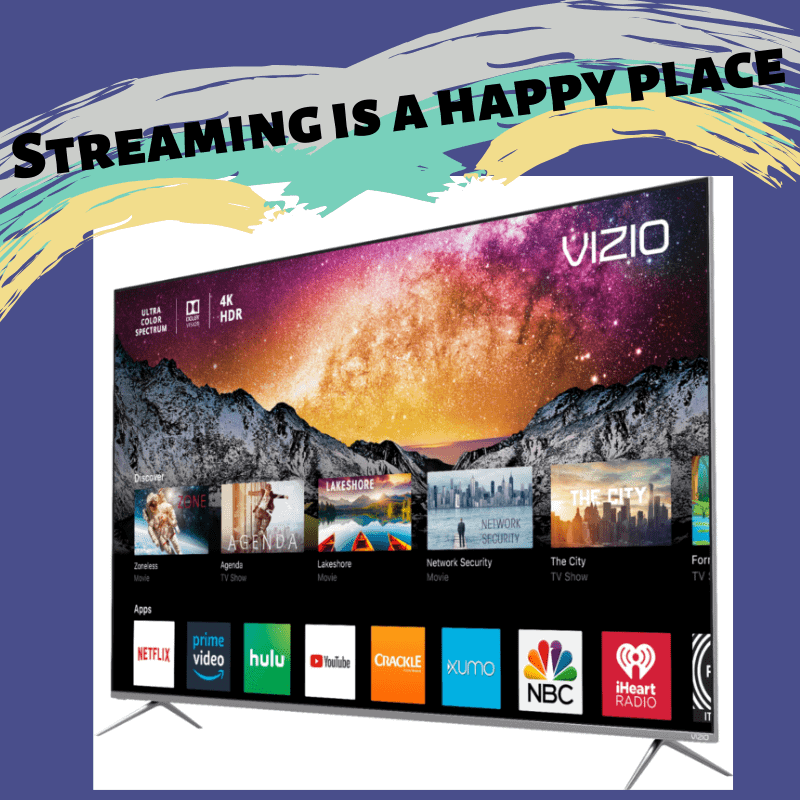 This smart television is perfectly eqipped to handle MORE of your favorite streaming options, so invest in them. What you pay for these streaming options is often cheaper than a date night. The fun thing is, a few options and you have millions of entertainment moments. What are you waiting for. Reduce your outing expenses, invest in your own time at home. These great televisions are $699.99 after $100 savings (MRSP $799.99) from 12/18-12/24. Gift yourself by shopping Best Buy. Make sure to have a great selection of blankets and comfy pillows these really help with the comfort-ability factor and then just life happen. IF you are done working at 10 P at night, then that is when you can relax. No trips out to meet people, no need to spend money. This post contains affiliate links, which means danavento.com may receive a commission on the sale if you use the link to make your purchase. This does not change the price of the product. This income directly offsets the cost of web hosting and maintenance so we greatly appreciate your support. The links help you find the best of the best, have fun shopping! I have been compensated for this post, however, thoughts and opinions are my own.